The polar vortex sliding south into the Midwest is sending temperatures to their lowest levels in more than 30 years, and in some cases, setting records. The polar vortex, which usually sits over the Arctic, is being pushed south by an unseasonably warm air mass to the north. The life-threatening cold is paralyzing the region, closing schools, businesses and courthouses, grounding flights and keeping millions confined to their homes. Temperatures overnight dropped to near 30-degrees below zero in some parts of Minnesota and close to it in Iowa, Illinois, Wisconsin and Michigan. And the bitter cold is not letting up, as forecasters are calling for highs Wednesday in Minneapolis and Chicago of just 14-below zero. 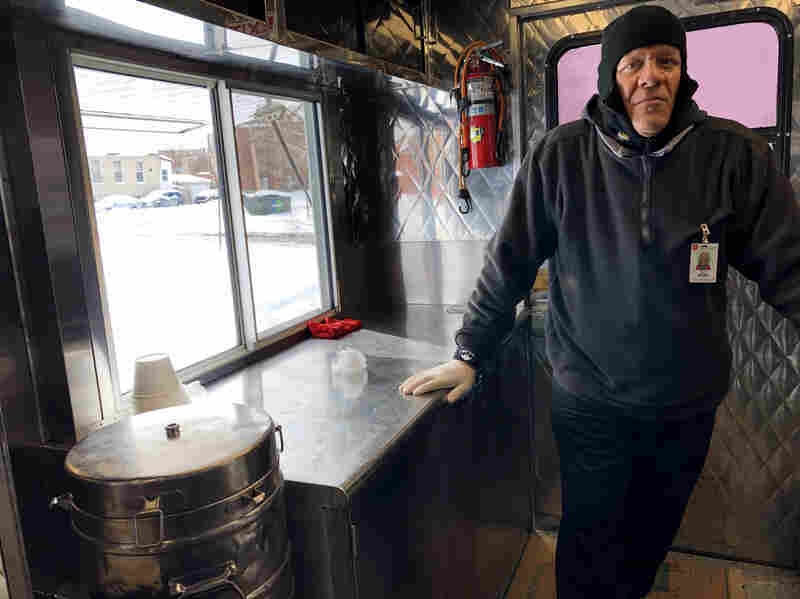 Salvation Army in Chicago provides hot meals to those in need. In addition to providing hot meals from their large red canteen food trucks, the Salvation Army is handing out coats, gloves, scarves, hats, and other winter necessities. Vehicles are providing rides to warming shelters, and teams are making extra nighttime trips out across the city to check up on makeshift camps and other places the homeless congregate. And this kind of outreach is going on in cities all across the Midwest, as the coldest weather in decades drops temperatures well below zero and will likely keep them there for days. 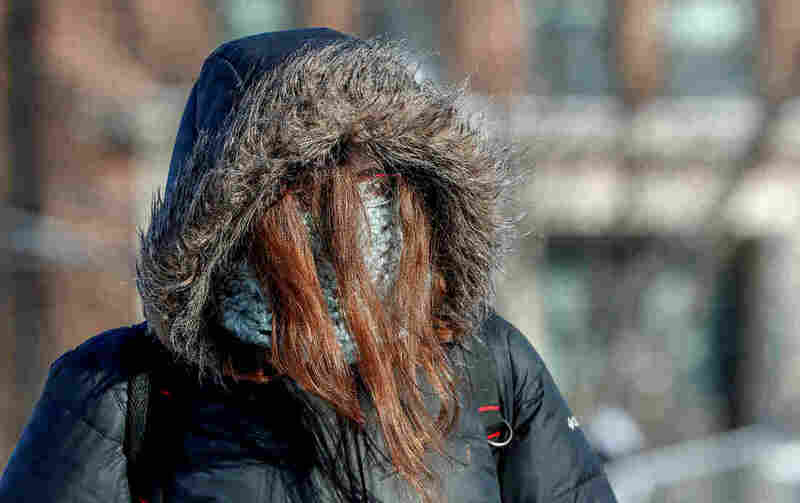 A student is dressed for subzero temperatures while walking to class at the University of Minnesota in Minneapolis. “Values as cold as minus 30 to minus 50 degrees in a couple locations and even colder as you get farther north into some parts of Minnesota, where some of those wind chills could get down to minus 60,” says Vargas of the Salvation Army. Wind chill warnings and advisories stretch from the Dakotas into Western Pennsylvania. Airlines have canceled thousands of flights because of the bad weather and the governors of Wisconsin, Michigan and Illinois have declared emergencies. Scores of colleges from the Universities of South Dakota and Iowa, to Michigan State, Notre Dame in Indiana and Kent State in Ohio are canceling classes. Public school systems in Chicago, Milwaukee, Detroit, St. Louis and Minneapolis are all closed, with Chicago’s already calling off classes for Thursday, as well. Minnesota Governor Tim Walz considered shuttering all schools statewide, but decided against it. Even the U.S. Postal Service is taking the rare step of suspending mail delivery today in Minnesota, Iowa, Western Wisconsin and Western Illinois. So while it’s unofficial motto may promise that “Neither snow nor rain nor heat nor gloom of night stays these couriers from the swift completion of their appointed rounds,” but apparently dangerous, bone-chilling cold will. “We were generally pretty happy to see it coming,” says Steve Faivre, who farms with his family in DeKalb County in Northern Illinois. The other good news is that forecasters are predicting a relative heat wave this weekend, with temperatures in Chicago expected to climb into the 40s — that’s 40 degrees above zero.